I remember going to the corner store with my cousins, and a quarter in my hand from my grandmother. I could buy 2 mini-pops and a 5-cent bag of candy. 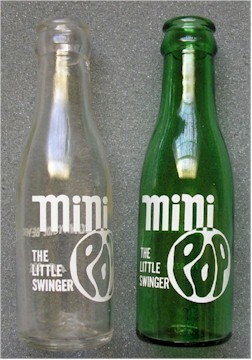 Each mini-pop was 10 cents, and you got 5 cents for the deposit. Take the 10 cents from the deposit, buy another bottle, return the empty, take the 5 cents, and buy another 5 cent bag of candy. 3 bottles of mini-pop and 2 bags of candy for a quarter. Man I miss those days!! !